The AERA Technical Committee offers the following information regarding a connecting rod caution on Cummins 5.9L B-series engines. The caution expressed concerns oversized connecting rod housing bores that may exist for these rods. 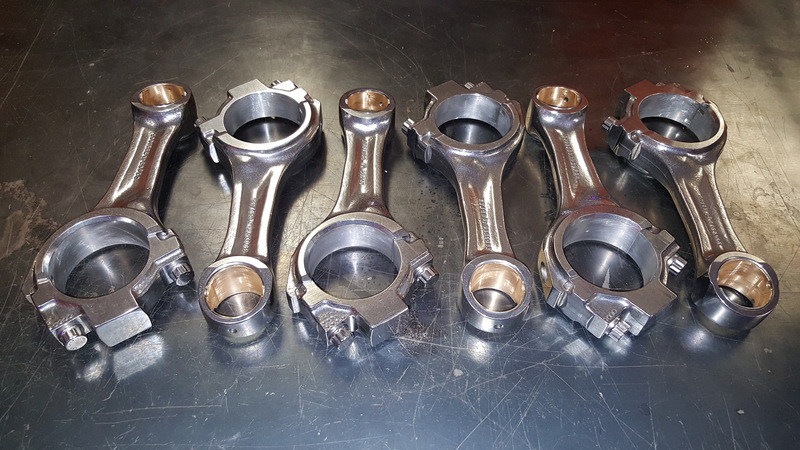 Given the more than thirty years these engines have been used in the automotive industry, multiple salvage operations for connecting rods may have been used. Those options include oversizing big-end housing bores to be used with available oversize OD rod bearings. Most commonly those sizes were .002″ (.051 MM) and .003″ (.076 MM) until recently when a .010″ (.254 MM) became available. While these bearings were originally designed for the “Cracked Rods”, they may have been used in conventional rods too. An extreme caution is advised to shop personnel to observe any bearing markings during engine teardown and to it is suggested to physically measure the big end housing bores before any service parts are ordered. It is also important to measure all rods within an engine, as a single oversized rod may have been used. Next post: Summer Diesel Deal Days | 2018 | 5% off order all of June!